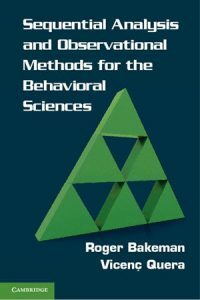 Bakeman, R., & Robinson, B. F. (1994). Understanding log-linear analysis with ILOG: An interactive approach. Hillsdale, NJ: Erlbaum. Download ILOG4.zip from Georgia State University, USA. Download ILOG 4.zip from Universitat de Barcelona, Spain. The ZIP file contains the executable, ILOG4.EXE, and a PDF file that describes the program. ILOG4 is written in Embarcadero® Delphi® XE2 Version 16 Pascal. It uses an Iterative Proportional fitting (IPF) algorithm to estimate expected frequencies and runs on a PC under Microsoft Windows or a Mac running a PC simulation program.